Websites have been an essential part of dealership marketing for more than a decade now, and even with the growth of social media, your website is still the online face of your dealership and where customers go to see your vehicles and learn about your business. Social media is a hot topic right now and it has had a profound effect on the auto dealership industry, but your website is still where potential customers go to learn about your dealership, see your inventory, and connect with your business. A website that has great functionality on all devices (including mobile) and gives customers all the information they want, is still only half the battle when it comes to dealership websites. 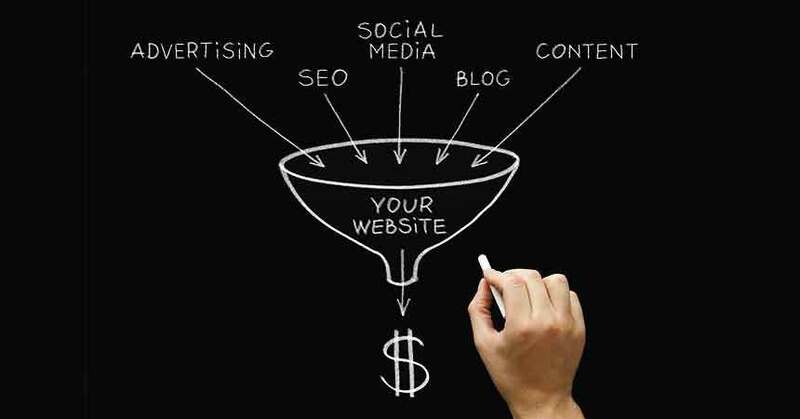 You also need to make sure that your potential customers find your site. Whether it’s through search, social media, or traditional marketing, it’s essential that you guide in-market consumers to your site. Just how you should promote your website, and what specific strategies you should employ to convince potential customers to buy from you, is a frequent topic of debate among internet marketing professionals. So, we asked some industry experts for their opinions. The experts we spoke to were: Dave Hanson, senior director, interactive, Dealertrack Technologies, Inc., David Metter president, Automotive HookLogic—AutoHook, Glenn Pasch CEO/partner with PCG Digital Marketing, and Ali Amirrezvani, founder and CEO of DealerOn, Inc. The opinions they offer do not always agree, but what works for one dealership may not work for another, so take a look at what they had to say and let us know your thoughts at www.dealermarketing.com/forum. Social media seems to be everywhere these days. Facebook alone has surpassed one billion users, not to mention the 554 million on Twitter and the four billion videos viewed on YouTube every day. So, if you want your customers to find you website, you need to have a presence on social media. The question is: how can dealers integrate social media with their website, so that their online “fans” turn into real-world sales? Not everyone is a fan of social media to help promote dealerships though. David Metter asserted that social media on your dealership website can actually be counter-productive if it makes it too easy for browsers to click away. “I am not a big fan of social branding on sites unless it is statically placed. Dealers spend too much time, effort, and money to drive customers to their site. The last thing that I want is for them to click off to be a friend.” He does however believe, “Social can be a play on service, testimonial, and evidence manual pages. This is when it is more relieving to the customer’s inquiry.” Huh? Social media can help direct browsers to your site, but the content they see when they get there is what will make them stick around on your site, and hopefully buy from you. Not all content is created equal. What kind of content, how often you post it, and how well written it is can have a profound impact on not just where you rank on the search engines, but how customers perceive your dealership. Content and social media are important to making sure that customers find your site and make you a part of their car buying process. But if they can’t view your site at all, then it doesn’t matter how relevant your content is or how up-to-date your inventory is. When users were all browsing with their home computers and laptops, this wasn’t a big problem. There were a few different browsers and you only had to make a few small tweaks to make sure that your site displayed correctly in all of them. Now, however, mobile has made it much more complicated and the number of mobile users is skyrocketing, making it more important than ever for your site to work just as well on a smartphone as it does on a desktop. “Whether it’s redirecting traffic to a mobile-specific site or adapting the primary site’s content to the phone’s smaller format, users need to be able to quickly find what they’re looking for on the go,” cautioned Dave Hanson. Convincing customers to visit your website is only part of the job. To truly be successful, however, your website needs to turn those online browsers into online leads and eventually customers, so we asked our experts how dealerships could turn online browsers into leads and sales.